Rudraksha en gemstone beads together in a unique bracelet. The ornaments are made of sterling silver by our silversmith on Bali. 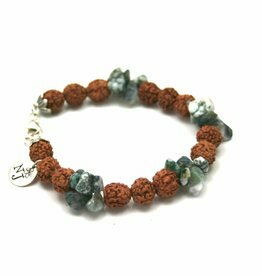 Hand made bracelet of moss agate and rudraksha, designed by NJAmsterdam. Handmade bracelet of turquoise and rudraksha beads. 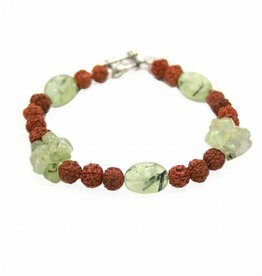 Handmade bracelet with prehnite and holy rudraksha beads. Original design of NJAmsterdam.